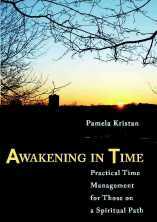 Let managing time become a spiritual adventure -- grounded in reality, open to possibility. If you're uncomfortable thinking of yourself as a productivity machine, you'll like this book. This is a nuts-and-bolts book for those who have so much we should, could, and would do that we decide this is nuts ... and bolt! Slow down, sit down, and give this a read. You won't regret it. Is getting organized about setting up files, handling papers, and getting rid of stuff? Yes, and it's about much more. Organizing is an intimate encounter with life’s everyday details that can draw you into soul work. This book leads you through every aspect of getting organized including the feelings that arise as we organize, the role our culture plays, and the links to nature and spirit. Through hands-on organizing skills, you'll practice new ways of changing how you deal with stuff. Attention to the emotions about how not to be so busy fleeing from guilt and shame that we never get anything done -- Any Good Books Lately?